At DutchWare, we offer spliceable rope for hammock suspensions, as well as for backpacking and camping use. 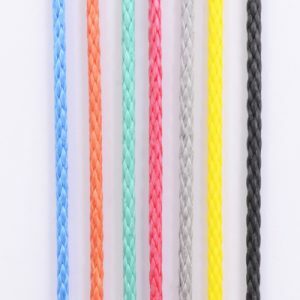 We grade our ropes on their breaking strength to ensure we provide and recommend ropes that are safe and reliable for you to use in hammock suspension systems or other applications in camping and backpacking. 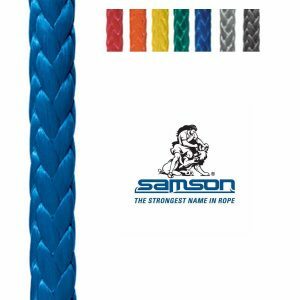 We offer a selection of Samson ropes, including their high-strength and low-stretch AmSteel rope. 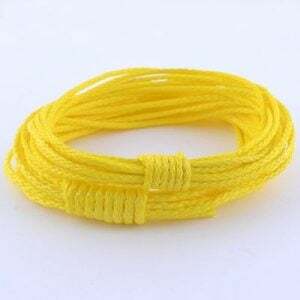 Spliceable rope for your hammock suspension is an ideal way to make your ropes last longer, as knots degrade ropes by 50 percent, whereas splicing causes a 10 percent wear on a rope. Spliced rope also gives your hammock’s suspension a cleaner look. We offer the industry standard rope for hammock suspension: the Samson AmSteel 7/64 spliceable rope. This AmSteel rope has a 1,600-pound breaking strength to ensure your hammock stays hanging. We offer it in 25-foot increments. 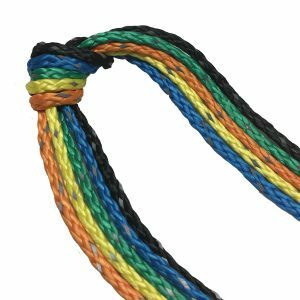 If you’re making your own Whoopie Slings and Continuous Loops, we can divide your order into smaller quantities, so you can have the colors you want for your hammock’s head and foot hardware. Different diameters of AmSteel Blue rope are available for creating Whoopie Slings and Continuous Loops for your hammock’s suspension, like our one-eighth AmSteel rope from Samson. 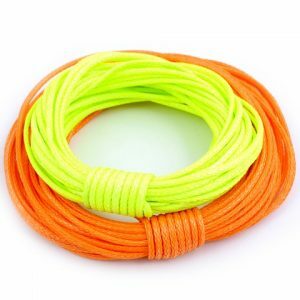 Use spliceable rope for backpacking and camping to hang tarps and replace stretched or worn ropes. We offer Samson’s Zing It and Lash It rope, which is the standard for suspending tarps that protect your hammock in all types of weather. The Zing It and Lash It rope is made from Dyneema fiber, which has the highest strength and lowest stretch, as well as the lightest weight. It also boasts the longest wear life available. The rope is compatible with DutchWare hardware, like our Flyz, Wasps, Stingerz and Dutch Hooks. 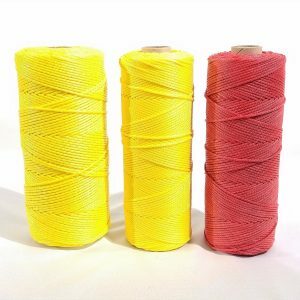 We offer Zing It and Lash It in full spools as well as in increments of 25 feet, so you can receive exactly the right amount of spliceable rope for your next camping or hammock project. 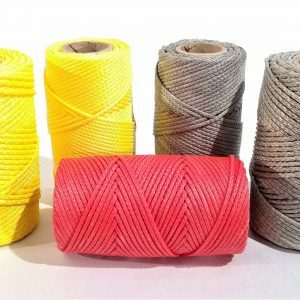 The rope is available in either red and yellow, gray or yellow. 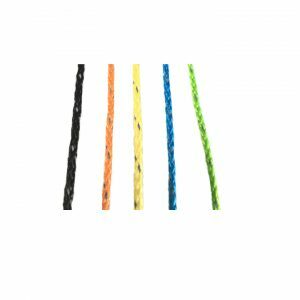 Our other spliceable ropes for backpacking and camping include DynaGlide from Spectra, as well as Dyneema ropes. 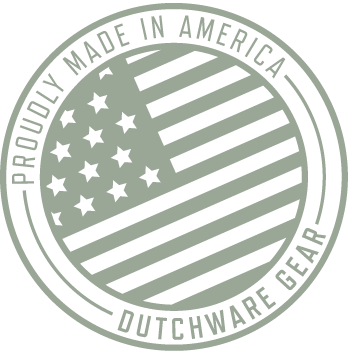 At DutchWare, we’re dedicated to offering high-quality and durable products that will last and perform outdoors. It’s why we offer a guarantee against any manufacturer defects, as well as a 100 percent satisfaction guarantee. 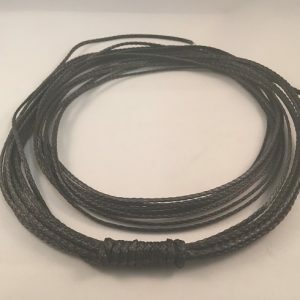 We also ship our products fast, so you can start your do-it-yourself (DIY) spliceable hammock rope project before your next hang or backpacking trip. 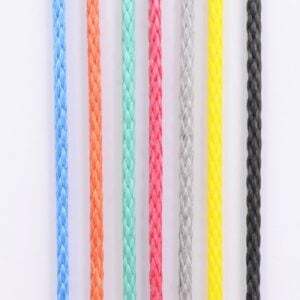 View our complete selection of spliceable rope below or contact us for more information.